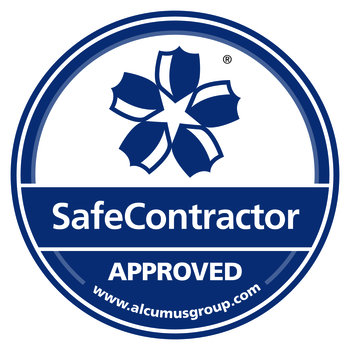 General Maintenance & Diagnostics – did you know we are SafeContractor approved? Here at General Maintenance & Diagnostics Ltd, we pride ourselves on our versatility. We are able to offer our customers a wide range of services and support, whether that is machines or site related. Although we specialise in the plastic manufacturing and recycling industry, we offer our services to an ever-increasing array of industries. We are continually on the lookout for an opportunity to extend our portfolio, enabling us to overcome any challenges from either current or potential customers. By always progressing in our training, we adhere to offering a second to none service, ensuring no job is too big or too small! As a company, we have many years of experience and knowledge in engineering. We believe that our background in the field is what really helps us deliver on our promises. Whether the problems are electrical, hydraulic, pneumatic or mechanical, we’re sure to have seen it before! We are proud to offer a friendly but professional and efficient service. We always treat our customers and their property with the same respect that not only have they come to expect but that we would hope for a company. Our customers are also offered complete peace of mind with the assurance of utmost confidentiality as we have a strict policy to never discuss our customer’s business with any third party. Ultimately, we are service engineers for the plastic manufacturing and plastic recycling industry. We can service and repair anything from plastic injection moulding machines and plastic extrusion equipment to industrial shredders and granulators, as well as the ability to carry out hard face welding repairs on site. Basically, our business is to keep your business going! We are based in Bolton, North West, but we also cover areas further afield. Get in touch today and let us know just how we can help you! As a team of multi-skilled engineers, we offer a wide range of services which cover various aspects of machine repairs and servicing, supporting the plastic manufacturing and recycling industry.